Providing you the best range of advanced test & measurement instrument, power quality analyzer and ht instruments for electrical test and measure with effective & timely delivery. We provide Advanced Test & Measurement Instrument for a wide range of electrical devices. They are widely used for testing and measuring purposes in power plants, transformers, fire sub-stations and in the field of electrical engineering. They are multi-functional and provide various solutions for testing techniques. They comprise of effective power quality analyzers. In addition to that, they record the efficiency of electrical instruments and are environment friendly. We provide Power Quality Analyzer which is an instrument used for testing and analyzing the quality of the service provided by the electric power supplier. It is used for commercial purposes, in offices and industries. The harmonic content of electrical devices such as computers, T.V sets and electric motors can be evaluated by the instrument. 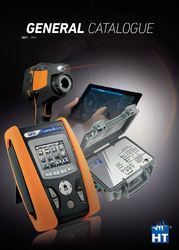 State of the Art Electrical and Electronic Test and Measurement Products from HT Italia. PLease down load as required. 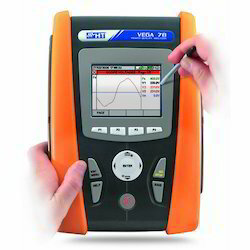 Looking for Electrical Advanced Test & Measurement Instruments ?